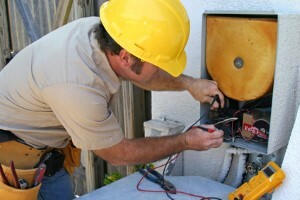 Estero homeowners beware – not all A/C companies are the same. In fact, not all of them even offer important quality air conditioning maintenance services like our pros here at Bowen Cooling. Living in Estero means an ongoing need for functional air conditioning. Our job is to make that possible for you but our goal is to do so in a manner that ensures your total and complete satisfaction. Use your window treatments. This helps to keep the sun out in the winter or allows more light in during cooler weather. Either way, it makes things easier on your HVAC system and that will lower your heating and cooling bills. Good news, it will also make your household more Eco-friendly. Make sure that your thermostat is not in the path of any direct heat source, such as lighting. This can trick the brain of your air conditioner into thinking it is hotter than it actually is and causes your cooling system to kick on more frequently. Contact us for your air conditioning service needs here in Estero, for residential or commercial work. Is It Time for an Air Conditioning Replacement?